Would the derby defeat, just a few days before the start of the final month of the year leave its mark? Les Lyonnais were crushed by the loss and could have buckled under the disappointment. But nothing was further from the truth. They bounced back immediately and were clearly mentally stronger for the experience. The two wins over Reims and Evian, achieved in the final minutes, were a great illustration. Not as convincing in their play, Les Lyonnais showed their psychological strength by always looking to get forward and attack. As a result, they defeated Stade de Reims 2-1 with a winning own-goal from Reims in the 91st minute. And it was the same again a week later in Annecy. This time, salvation came in the 93rd minute from the penalty spot, and a lively Fekir and a Lacazette at the heart of everything good. They only led for one minute in this match, but the most important thing is to be leading when that final whistle blows. It was a second away win of the term and three more precious points to the tally! In awesome form in Ligue 1, Les Lyonnais needed to switch focus to the Coupe de la Ligue and the last-16 home tie with Monaco, a team that were also starting to find some form late in the day. The two sides wagered a battle that could only be decided on a penalty shootout... and, once again, the lottery from 12 yards was cruel for Les Lyonnais. 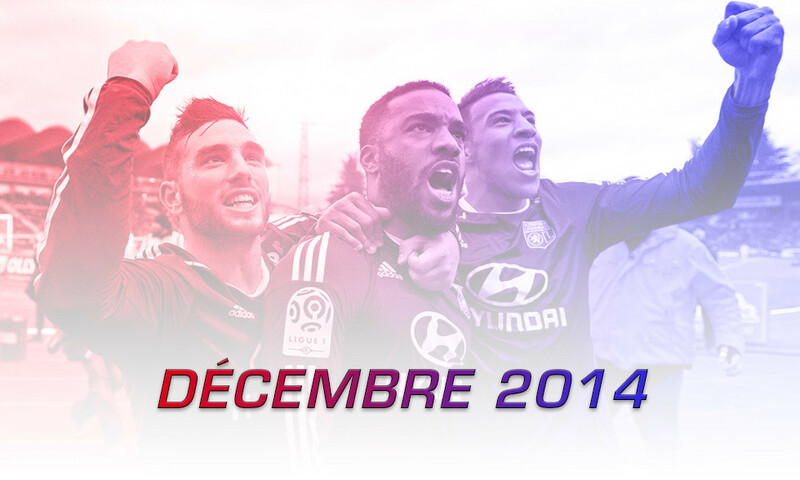 There was still one match left to play in 2014, one last effort before the holidays to end a gruelling year... And Les Lyonnais offered up two fantastic Christmas gifts to their supporters. The first: a 5-0 victory courtesy of an excellent performance away to Bordeaux, a direct rival! The second: second place in the league ahead of PSG. What a way to finish the year!